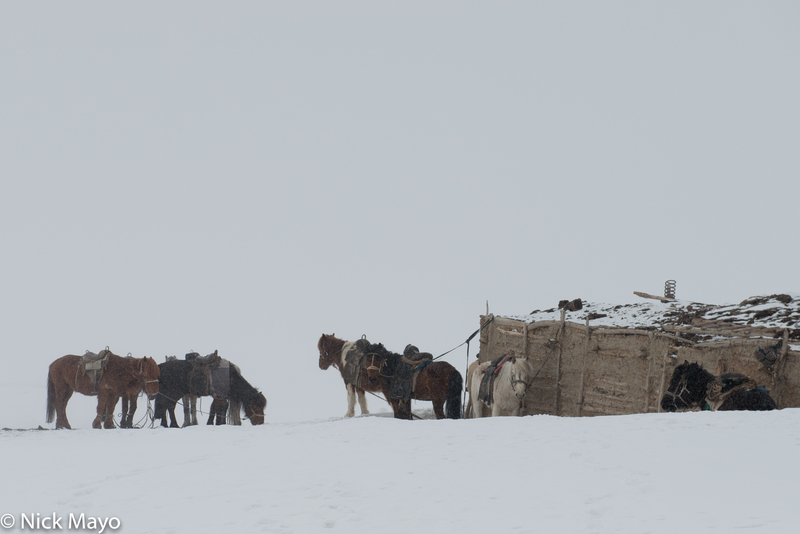 Horses tethered at a Kazakh homestead in Ulaakhus sum during a spring snow storm. All material © copyright by Nick Mayo. All rights reserved. Site by WideRange Galleries.